Gilded bronze female mosquito on first floor balcony of the Keppel Street building. Image Credit: LSHTM Library and Archive Services. The first episode of the new Mustard Club eight-part factual radio series based on the School's gilded vectors is now available as a podcast at: http://www.lshtm.ac.uk/newsevents/multimedia/podcasts/2012/the_gilded_vectors_of_disease.html. This episode is focused on the louse and will be followed by episodes looking at rats, bedbugs, fleas and the other vectors that decorate the balconies of the Keppel Street building. The series features material from the LSHTM archives and includes a guest appearance from the Archivist, Frieda Midgley, in the 'fly' episode to be broadcast on 23 May. Frieda will be looking at what the travel diary of Geoffrey Carpenter and his wife can tell us about the tsetse fly and sleeping sickness. The series will be broadcast on Resonance 104.4 FM Radio in London and will be available on web simulcast everywhere at http://resonancefm.com/ at 7.30pm every Wednesday for the next seven weeks. For more information, see the Mustard Club website at http://www.themustardclub.org/. 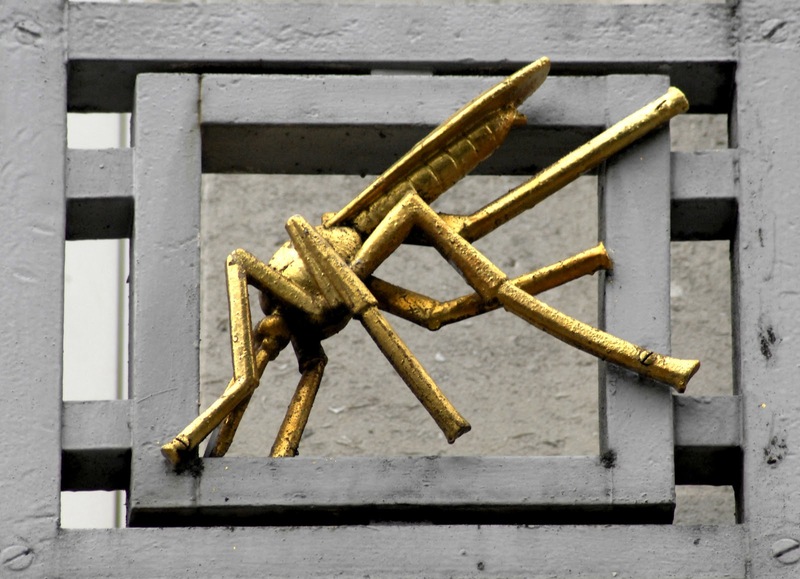 The series will be turning its attention to the gilded mosquito to mark World Malaria Day on 25 April. This episode will use archival material to bring Victorian malaria pioneers Sir Patrick Manson and Sir Ronald Ross back to life as “very special studio guests” for the evening. In the meantime, you can view some of the highlights of the archive collections in an exhibition on Malaria, which will be on display in the Library for the rest of April.